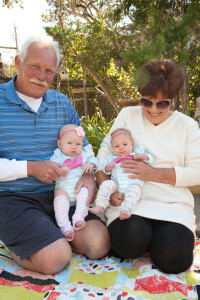 Rick and I are thrilled to be the grandparents of FOUR adorable grandchildren! Rusty and Renée now have two daughters, Rooney Jane and Henley Sunday, about three years apart. Rocky and Ali have a girl and a boy, Reese Violet and Ryan Jett, also about three years apart! We are so blessed. Rick as always is my handyman, installing new carpets, renovating bathrooms, fixing this and building that! Lately he has been able to help Rocky with his home in Lincoln… he is quite the craftsman. 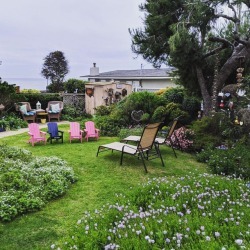 Living on the Central Coast, I am so blessed to be able to keep my garden in bloom year round. It really is my living sanctuary! 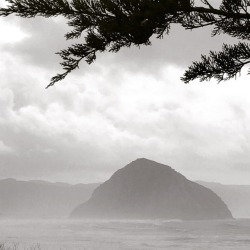 Our eldest son Rusty and his wife Renée moved back to the Central Coast about two years ago. Their little family is loving life so close to the beach, although they say they do miss the big city. No more sirens and car horns to put the babies to sleep I guess? Haha! Rooney is just loving preschool, especially music and story time… she’s our little book worm!! Both girls love the beach, Rooney is teaching Henley how to build sand castles and swing on the swings. Henley adores her big sister! Rusty is still with MindBody and has gotten a couple promotions since he started. Renée is managing the home and girl’s schedules while working on her freelance wedding album design. Our youngest son, Rocky, and daughter-in-law, Ali, have been married for six years and continue to enjoy their beautiful home in Lincoln, CA. They have been busy with more renovations (with some of Rick’s help, of course)! We celebrated our little firecracker, Reese Violet, who turned THREE on the 4th of July! 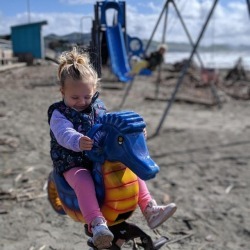 She is incredibly smart and very active – she loves to swim, read, and play with Daddy outside. She has also become quite the little chatterbox. She began preschool this year and loves every minute. She has loving named Rick and I, “Papa and Party” – so fitting! We welcomed our first grandson, Ryan Jett, on January 15, 2016! He looks just like his daddy! Ryan has been growing like a weed this year (teeth included), crawling early at 7 months, and very active like his big sister. Rick and I can’t wait to attend his sports events, just like we did with our boys. Our two grand dogs, Oliver and Dexter, are still the spoiled pair! Dexter is Reese’s best buddy – those two have sweetest the love affair. Oliver, however, does his best to tolerate his little sister and new brother. Rocky is continuing his role as the Front Office Manager at the Hyatt Regency in downtown Sacramento, across from the State Capitol. He’s continuing to prove that the hospitality bug does run in the family! Ali juggles many different roles as she continues to work part-time from home with E.L. Achieve, substitutes occasionally in a local school district, and is very fortunate to stay at home full-time with Reese and Ryan. Rick has been able to help Rocky and Ali renovate their beautiful home in Lincoln California; building fences, a kitchen breakfast nook and BBQ area. As always the garden is my oasis and looking very promising this year with all the sunshine we have been having this spring! 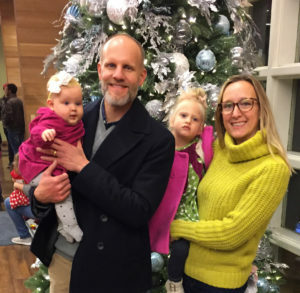 Rusty and Renée are enjoying city life in San Francisco and transitioning well into parenthood. Rooney Jane was born August 19 of 2013 at 5 lbs 7 oz. Tiny little thing! She has a sweet demeanor and radiant smile. She loves to giggle and “jump,” and is such a daddy’s girl! She has a beautiful head of strawberry blonde hair, Rusty’s eyes and Renée’s nose. Rusty is working harder than ever at Crunch Gym in the beautiful Russian Hill district of San Francisco as a personal trainer. Renée has recently begun working as a freelance artbook designer/special projects manager, taking on select clients so she can raise little Rooney in the comfort of their home! Our youngest son, Rocky, and daughter-in-law, Ali, have lived in the Sacramento area for almost six years and continue to enjoy their beautiful home in Lincoln, CA. They have been busy with more renovations this year (with some of Rick’s help, of course)! Our little firecracker, Reese Violet, turned TWO on the 4th of July! She is incredibly smart and very active – she loves to swim, read, and play with Daddy outside. She has also become quite the little chatterbox. “I’m Reese. I’m two,” “Stop it, Dexter,” and “C’mon, let’s go,” are just a few of her favorite phrases these days. She has loving named Rick and I, “Papa and Party!” So fitting! Our two grand dogs, Oliver and Dexter, are still the spoiled pair! Dexter is Reese’s best buddy – those two have sweetest the love affair. Oliver, however, does his best to tolerate his little sister. Rocky began his new role last year as the Front Office Manager at the Hyatt Regency in downtown Sacramento, across from the State Capitol. He’s continuing to prove that the hospitality bug does run in the family! Ali juggles many different roles as she continues to work part-time from home with E.L. Achieve, substitutes occasionally in a local school district, and is very fortunate to stay at home full-time with Reese. We are so excited to announce that we are going to be Papa and Party again – Ali and Rocky are expecting a baby boy in January! We are so thrilled and can’t wait to meet our new grandson! 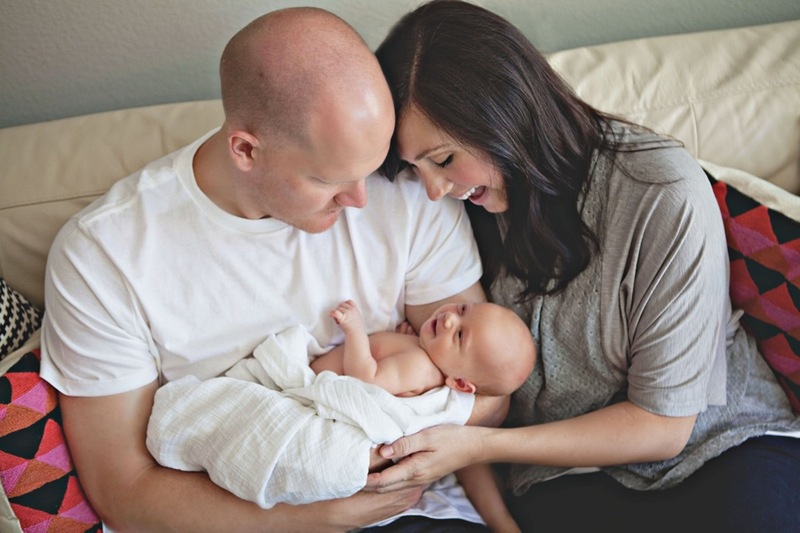 Rocky and Ali are loving their first year as new parents to Reese Violet, born on the 4th of July, 2013 (couldn’t be more perfect!) at 8 lbs 2 oz. Reese is growing like a weed and recently began crawling and standing. Such a smarty pants! Always the firecracker and life of the party, she has such an infectious laugh and gorgeous, toothy smile. 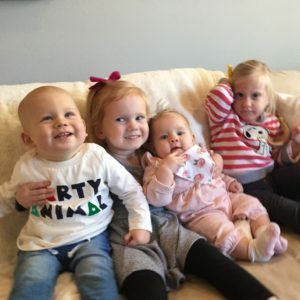 She is undoubtedly Rocky’s little “mini me.” Reese has become Dexter’s perfect sidekick, but Oliver is still not of fan of his little sister, interrupting his sleep and pulling his hair! Rocky transferred to the Hyatt House in Rancho Cordova, CA last year, taking on the busy role as Assistant General Manager. After Reese was born, Ali went back to work part-time from home with E.L. Achieve and is lucky enough to be a full-time stay-at-home mommy for now. Rocky and Ali bought a beautiful home and live in Lincoln, California. Rocky is the Assistant General Manager to the Hyatt Place Hotel in Roseville…the acorn don’t fall far from the tree. Ali writes curriculum guides for elementary school for students learning English as their second language. Newly built, the Hyatt Place Sacramento/Roseville is northeast of the state capital and adjacent to Rocklin and Lincoln. If you are traveling for business, this Hyatt Place hotel is only minutes away from Adventist Health, Beale Air Force Base, Emulex, Hewlett-Packard, Kaiser Permanente, McClellan Park, Oracle, United Natural Foods, Sutter Health, and Union Pacific Railroad. Just off I-80 and Highway 65, it’s the perfect stop-over on the way to Lake Tahoe, Reno, San Francisco or popular recreational attractions in the Placer Valley. 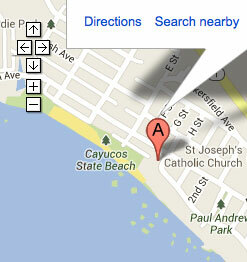 Otherwise, come stay with us in wonderful Cayucos. Rusty is an elite personal trainer at Crunch Gym, in the beautiful SanFrancisco neighborhood of Russian Hill. He and Renée live just blocks away from his work so the commute is easy – he just walks! Renée is the studio manager for Thayer Gowdy Photographs, a lifestyle photographer with clients such as Apple, Target, Parent’s and Anthology Magazine. Both couples are expecting this summer — seven weeks apart. Yikes, we’re going to be grandparents! Rusty, our first born son, after 3 years interning for the Colorado Rockies organization (one year in Tulsa, Oklahoma and 2 year in Modesto California), has traded his cleats for training shoes at an up scale gym in San Francisco, named Crunch Gym in downtown. He is learning to help a diverse group of the population to achieve their fitness goals. He met a wonderful girl named Renée Lowe and they were married on October 15, 2011. 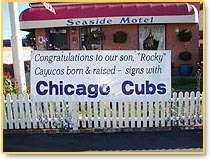 Rocky, our youngest son, after 2 years of pitching at Cal Poly signed with the Chicago Cubs organization. He pitched for 3 seasons rising as high as AAA in Des Moines, Iowa. 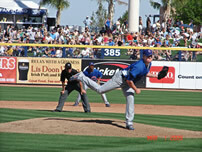 He was invited to big league camp in Spring training 2009. He was traded that same year to the Oakland A’s organization that same year and pitched Midland, Texas (AA). At the end of the season he returned home at Cal Poly to finish his Business degree. He has hung up his cleats to join the sometime tougher game of life. 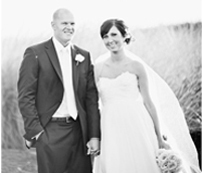 Last October Rocky married his very patient girlfriend Ali Frostad from Roseville, California. We welcome the new Mrs. Roquet and their 2 dogs, Oliver and Dexter (our grand dogs). This is an update from the two proud parents of Rusty and Rocky. 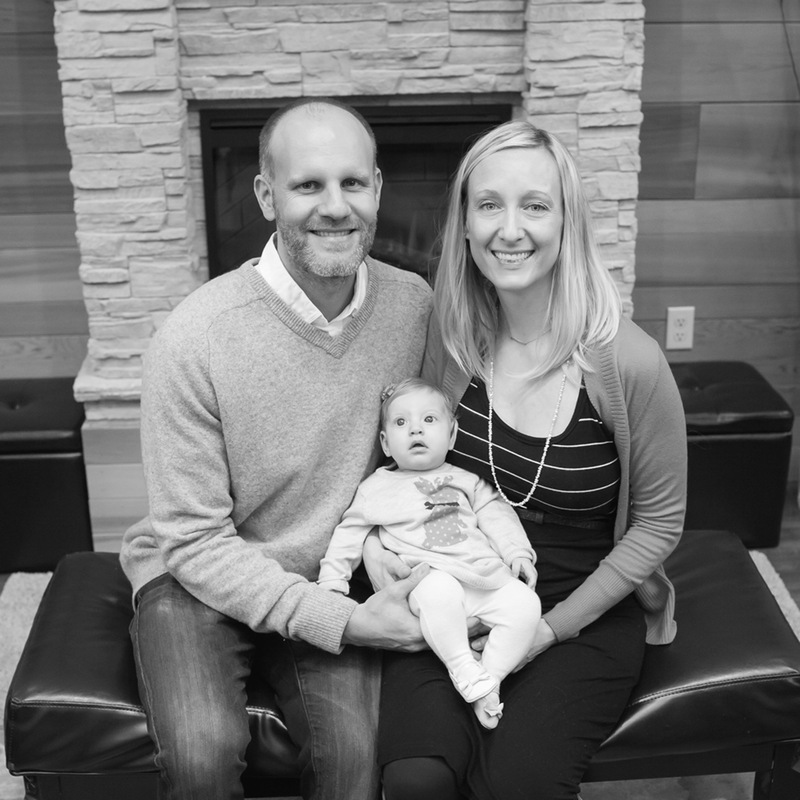 Rusty received his degree in Kinesiology with an emphasis in Strength and Conditioning from San Diego State University. 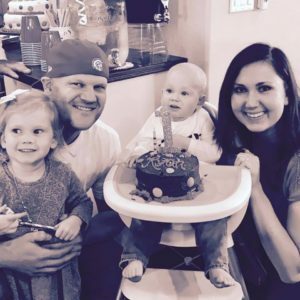 Upon graduation he accepted an internship with the Colorado Rockies Baseball Team as a Strength and Conditioning Coach for the Double AA affiliate – the Tulsa Drillers. After being gone for 8 months he is back in beautiful Cayucos for a while. Our younger son Rocky after having an outstanding year as the Closing pitcher for the Cal Poly Mustangs signed a free agent contract with the Chicago Cubs Baseball Team. He was then sent to the short season “A” Boise Hawks. After the season ended he was sent to Mesa Arizona for a month to the instructional league, were he fined tuned his skills as a pitcher and is excited to climb his way up through the minor leagues the big leagues some day. He will also be attending Cal Poly in the off season to complete his Business degree. We are so proud of our sons and we have two awesome daughter-in-laws and families. We are truly blessed. Rick and I want to thank you for all your continued support throughout the many years we have been at the Seaside Motel. 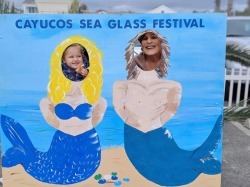 See you soon in beautiful Cayucos.